The magical crew over at Disney have announced what I had hoped would happen since we started following the project way back when Spielberg had a serious interest - GHOST IN THE SHELL will be released in 3D! I'm thrilled because not only are we finally seeing movement on the project that has been in limbo for awhile, but it will in fact be 3D. With the recent signing of Scarlett Johansson as the lead and assuming director Rupert Sanders (SNOW WHITE AND THE HUNTSMAN) stays in place we could see production start in months. The release date is slated for April 14, 2017. The movie's pedigree is outstanding of course from it's Japanese roots, from writer Laeta Kalogridis being originally involved, and William Wheeler subsequently adapting for the screen. Ghost in the Shell is a futuristic police thriller dealing with the exploits of Motoko Kusanagi, a member of the covert operations section of the Japanese National Public Safety Commission, Section 9, which specializes in fighting technology-related crime. She may be named after one of the three Imperial Regalia of Japan and Shirow makes reference to them at the end of the second manga. 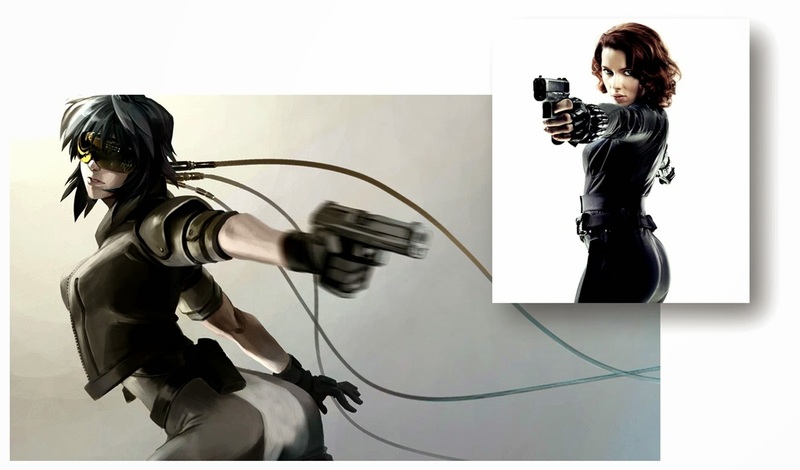 Although supposedly equal to all other members, Kusanagi fills the leadership role in the team, and is usually referred to as "the Major" due to her past rank in the armed forces. She is capable of superhuman feats, and bionically specialized for her job — her body is almost completely mechanized; only her brain and a segment of her spinal cord are organic. I would have loved to have seen James Cameron's BATTLE ANGEL go up against GITS, but hey - no one can argue with his attention to AVATAR 2, 3 and 4! Further, Casey Affleck's THE FINEST HOURS moves to replace THE JUNGLE BOOK (also in 3D) which needs more time on it's visual effects. TJB moves to April 15, 2016. THE FINEST HOURS is a drama centered on the Coast Guard and sails in on October 9. And finally, Disney's Pete's Dragon remake is slated for release on August 12, 2016 in 3D. More updates, like native 3D / 3D conversion confirmation when I get it!